Alabama School Connection » Is Getting Kids to Go to School a Problem in Alabama? 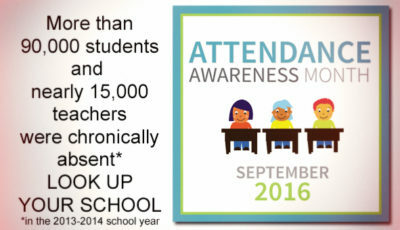 According to State Superintendent Dr. Tommy Bice’s memo proclaiming September “Attendance Awareness Month”, Alabama’s K-12 public school students missed more than 7 million days of school, equating to more than 49 million instructional hours, during the 2013-2014 school year. Bice has made attendance a recurring theme when he talks about K-12 public education in Alabama. Students can’t learn if they’re not at school, Bice has said. So is attendance a problem in Alabama’s schools? If you just listen to the conversation at the state level about this issue, you would think that it is. Without hard data, though, it’s tough to tell. Alabama does not publish that data, leaving reporting to local school officials, according to Malissa Valdes-Hubert, spokesperson for the Alabama State Department of Education (ALSDE). The only publicly available data is from the Alabama Annual Education Report Cards, reflecting district-wide rather than school-based data. We’ll take a look at that data in a moment. Absent, Chronically Absent or Truant? It’s important to clarify the differences between being absent from school, being chronically absent, and being truant. b. Death in immediate family. c. Inclement weather which would be dangerous to the life and health of the child as determined by the principal. e. Emergency conditions as determined by the principal. f. Prior permission of the principal upon request of the parent or legal guardian. Students cannot be retained (not promoted to the next grade) if absences are excused. Chronic absenteeism is generally defined as missing more than 10 percent of school days in any school year (excused or unexcused). In a 180-day school year, that is 18 days, or nearly a month. Chronic absenteeism is associated with higher dropout rates as children who fall behind in school are less likely to stick with it and graduate. Chronic absenteeism is a serious problem and one that is rarely measured by school districts or state departments of education. Any absence not excused is considered unexcused. If a student exceeds the number of unexcused absences allowed, that student can be retained if the district has clearly delineated the policy on retention and unexcused absences. Truancy is linked to unexcused absences. Every unexcused absence is considered evidence of a child being truant. School officials are required to file a petition in juvenile court to intervene with students who miss more than seven days of school in a semester without a valid excuse. School districts are free to create stricter parameters, but must pursue court proceedings after seven unexcused absences. Here’s the section in the Alabama Administrative Code on truancy (begins on page 12 of the linked PDF). 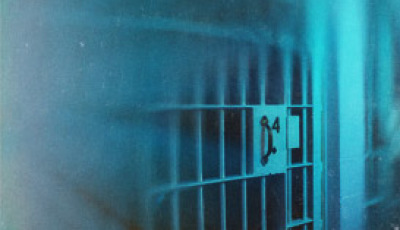 Section 16-28-12 of the Code of Alabama levies harsh penalties for parents and guardians who fail to cooperate and do not follow attendance laws and policies, including the possibility of hard labor and/or a $100 fine. Principals and teachers who fail to report students for unexcused absences can be charged with a Class C misdemeanor. The discretion given to principals to excuse or not excuse absences can cause serious problems if a principal is unwilling to recognize a child’s chronic health issue. Read this for more about this problem. For methodology, scroll to the end of this article. Colorado’s state department of education publishes every Colorado school’s attendance data in an effort to address chronic absences and truancy in their schools. The ALSDE does not report truancy data nor the number of truancy petitions filed in each school district. Anyone who wants that information will have to ask each school district for it, according to ALSDE spokesperson Valdes-Hubert. Experience has shown me that it will have to get extremely cold at the center of the earth before I will get that data from all of Alabama’s districts, so until it freezes over, here’s what state-level data shows about attendance overall in our Alabama school districts. Without knowing exact numbers of excused versus unexcused absences and exact numbers of students considered truant, all we can even consider is the “average absences per student”, calculated using a methodology that Colorado employs. Further, without school-based, student-focused attendance data, there is no way to determine if a school has a chronic absenteeism problem or a truancy problem. Averages mask these types of attendance problems. So…using Colorado’s methodology, here’s what the data shows, mapped for each of four school years beginning with the 2009-2010 school year. Remember these are total absences, not broken down by excused or unexcused. Yes, something looks amiss in the 2009-2010 data. To have so many districts with an average of more than 10 absences is disconcerting, but the following year shows progress. Could be in the way data was reported. Could be they changed the way data was reported in the following years. Hard to tell at this point. Truth be told, the map doesn’t appear to have changed that much in the last few years. Here’s the data presented a bit differently. What Could Be Accomplished If We Had Access to Better Data? The conversation at the state level, and the strong push for districts to share information on Attendance Awareness Month this past September indicates it is on the mind of state-level officials. If school officials were willing to collect, report, and share the data with their school communities, we could determine whether attendance issues are a problem in our schools. If the data indicates a problem, there are many ways schools and communities can partner to improve attendance rates. These resources, from GradNation, are a great place to start. 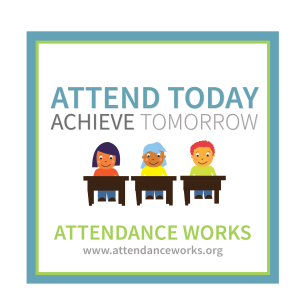 Scroll to the bottom of this Attendance Works page to the “What You Can Do” section to see what each member of the school community can do. 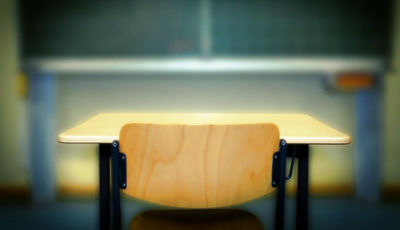 Sixty-five administrators and/or employees in the Columbus City Schools in Columbus, Ohio, have been investigated in an attendance data scrubbing scandal, where a state audit revealed that student absences were manipulated or deleted from data records in an alleged attempt to game the state’s accountability system. Nearly all of them have been asked by the Ohio Department of Education to voluntarily turn in their state licenses, according to this report. The statewide investigation resulted in 20 Ohio school districts’ report cards being changed. While the investigation has concluded, the court proceedings continue. The data is only useful if it’s real. We must be responsible in reporting and interpreting and utilizing the data. Using data as a flashlight, not a hammer, will encourage more responsible data collection and use to improve the climate and culture of our public schools. In the coming weeks, I will reveal bits and pieces of what I believe would be a “dream database” for Alabama’s K-12 public education system. While I have attempted to share data through the Alabama School Connection, all of the pieces really need to be housed in one place in order for folks to know where to go when they are looking for it. 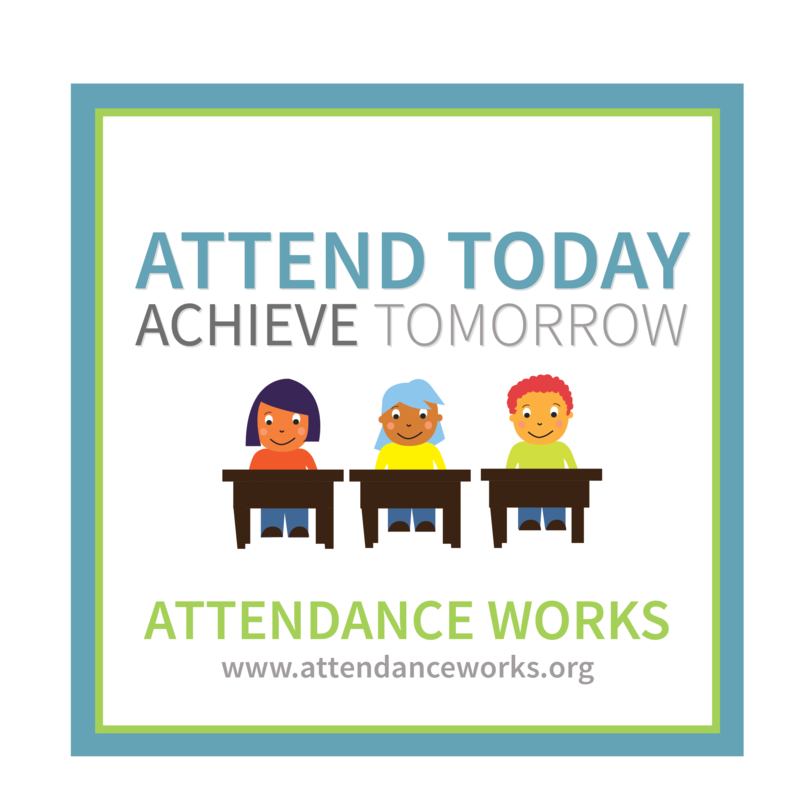 Accurate attendance data, reflecting total excused, total unexcused, and number of students chronically absent, by school, would be Data Point #1. To calculate the average absences per student per district, I followed Colorado’s model. The data for each district was obtained from the Alabama Education Report Cards for each of the four years from the ALSDE web site. PDFs were converted into Excel spreadsheets using Tabula, a awesome (and free!) tool. the Average Daily Attendance (ADA) percentage, a data point gathered under No Child Left Behind and the ESEA waiver. The number of days enrolled was 180 (except for Baldwin County’s 2012-2013 school year, where students were enrolled for 176 days). The average absences per student/ADM was then mapped into a Google fusion table with Alabama school districts. Interesting data. One thing is missing through-in excused tardiness. Parents know how to work the system, knowing that in excused tardys, especially in grades 1throgh 4 mean nothing without legislative authority to back it up. Therefore the number of missed hours is far greater than 49 million.